Herbal extracts can take your recipes and beauty DIYs to the next level – it's so easy to add different flavors and scents with just a few drops. 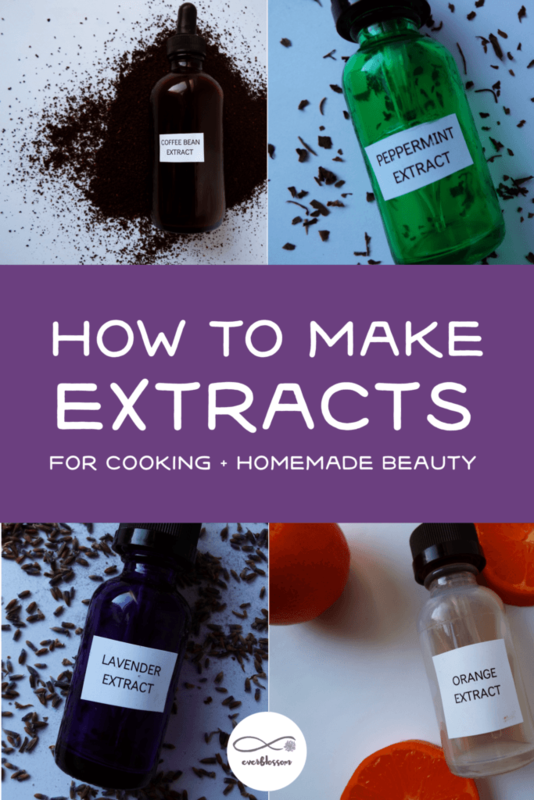 It's really simple to make your own extracts, too! Whether you want to learn how to make vanilla extract or make your own peppermint extract – or tons of other flavorful, aromatic herbs and spices – the process is pretty much the same. 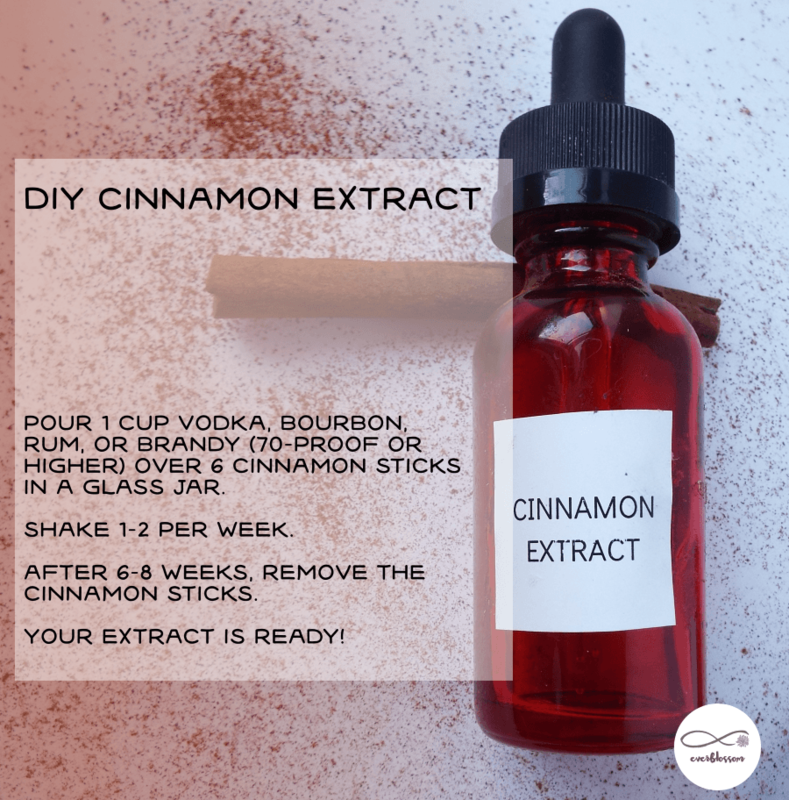 Here's how to make vanilla extract, for example: All you need is an 8-ounce glass bottle to contain your extract, a handful of vanilla beans (sometimes known as vanilla pods), and any alcohol that's 70 proof or 35% alcohol. Vodka, bourbon, rum, and brandy all work. If you start with a cup of alcohol, you'll want seven vanilla beans, which you can buy from grocery stores, baking supply stores, or even Amazon. Cut each vanilla bean lengthwise before placing it in the bottle. You can cut the beans smaller to help them fit in your bottle. Next, pour the alcohol into your bottle until the beans are completely submerged. Close the bottle and let it sit. Remember to shake once or twice a week to mix the contents. After eight weeks, your vanilla extract will be ready and have the aroma and flavor that you come to expect. Note that it may be ready in six weeks, but the flavor will be more pungent the longer you wait. You can store the vanilla extract at room temperature when not in use. Some people prefer to strain their extracts; although, you can keep the herbs in the bottle without any risk. Once you discover how easy it is to make vanilla extract, you'll probably want to experiment more. You can experiment with different vanilla beans and alcohols to find the precise flavor you want or even create multiple extracts for your recipes. For instance, Ugandan vanilla beans provide a smokey flavor that's bolder. You can use the same process allows to make other herbal extracts. Combine 15 blanched almonds with two cups of 80-proof vodka for six to eight weeks to create almond extract. You can also make your own mint and orange extracts this way. You could even try combining herbs, spices, nuts, and fruits to make really unique flavors and scents! What are your favorite extracts use? Have you ever tried making your own?